Thousands of poisonous baby Bufo toads have infested the Florida suburb of Palm Beach Gardens. The reddish-brown toads, which range from six to nine inches in length and are native to Central and South America, can be highly poisonous. They were first introduced to Florida in 1955 to be used as pest control in sugar cane fields. ​According to the University of Florida Wildlife Extension website, when the "species is threatened or handled, it secretes a highly toxic milky substance from its large parotoid glands (external skin glands) at the back of its head, behind the ears. This secretion can burn your eyes, may irritate your skin and can kill cats and dogs if they ingest the secretion." "If you suspect toad poisoning, get a hose and run water in the side of the dog's/cat's mouth, pointing the animal's head downward so water isn't swallowed. Rub the gums and mouth to remove the toxin. This treatment is usually successful, but call your veterinarian immediately," the University of Florida Wildlife Extension warns. The toads have been clogging pool filters and swarming driveways, sidewalks and lawns in the suburb, according to local media reports. 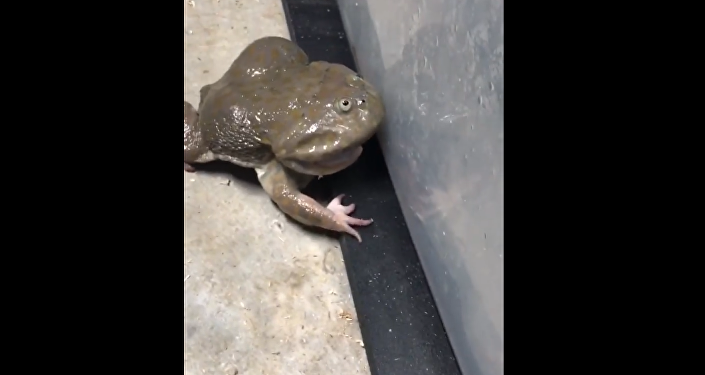 ​"I just see a massive amount of toads or frogs everywhere, covering every square inch," Jennie Quasha, who lives in the Mirabella neighborhood, told WPTV last week. "You can't even walk through the grass without stepping on one." "I'm worried about people's pets, so there's definitely no swimming in the pool or playing outside and enjoying the outdoors," Quasha added. 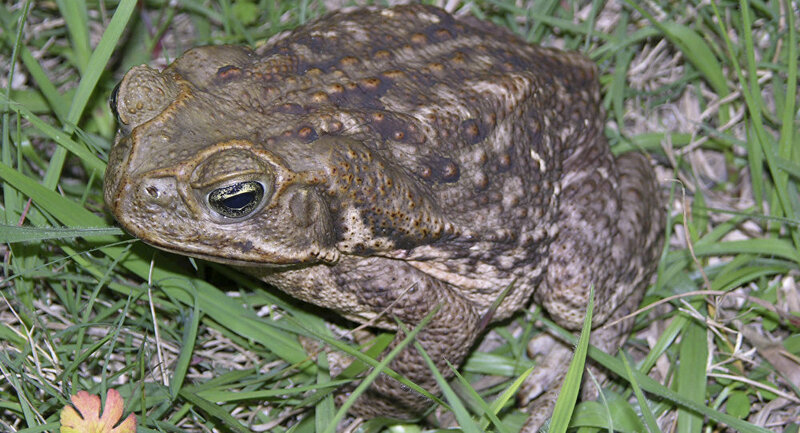 According to Toad Busters, a toad removal service in South Florida, the toads are in full-swing breeding cycle thanks to a warmer winter and torrential rain a few weeks ago. "With the warmer winter and then we had a rain two to three weeks ago, a torrential rain — that caused them to go into a breeding cycle," Mark Holladay, a lead technician with Toad Buster, told WPTV. "They're not safe for pets or children. If a pet was to ingest too many of them, even at that small size, it would cause a problem." "Right now, it's the season for them," Amy Kight, executive director of the Busch Wildlife Sanctuary in Jupiter, Florida, added in an interview with The Palm Beach Post. "In spring and summer, we have more rain, so it's just more conducive to the breeding of them. Because it stays lighter longer, people are staying outside more. When dusk is coming around, the frogs are starting to emerge for the night. People are still out and doing things with their pets, so there are more encounters with them."